The beverage industry has proven to be the cornerstone of functional food revolution. Beverages provide a convenient way to deliver nutrition to consumers. Consuming healthy vitamin drinks is a good way to get your daily requirement of vitamins and minerals. The best source of vitamins and other necessary nutrients is through a balanced diet, but for those times when you are too busy to eat a healthy diet, vitamin drinks are a good second option. Companies are increasingly adding vitamins and minerals to juices, bottled water, sports drinks and malted drinks, responding to a growing consumer demand for these products. 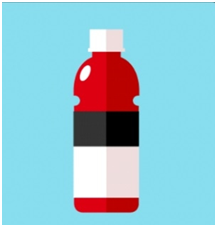 Although nowadays a lot of different types of vitamin drinks are available in market, a consumer must be wary of drinks which exceed the recommended daily allowance (RDA) values for vitamins and minerals. Why the demand for vitamin drinks has increased? A lot of fruit & vegetable juices, fortified with vitamins and minerals, are available in the market. Juice made from whole vegetables and fruits in one way to add more vegetables and fruits to your diet. 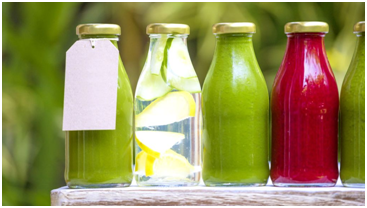 Cold pressed juices have recently gained popularity in India. Vegetables such as kale, spinach, beetroot, carrot, and fruits such as green apple, lemon, ginger, and kiwi can be used as ingredients in the juices. 1. Fortified water enhanced with electrolytes such as potassium and sodium chloride helps to replenish those electrolytes lost during physical activity. 2. Use of drinking water as a vehicle for nutrient fortification is a highly effective approach to combat deficiency diseases. During the last decade, consumers’ approach to healthy foods has changed dramatically. Everyone needs to drink water as a daily essential component of diet, then why not water to survive and nutrients to function? 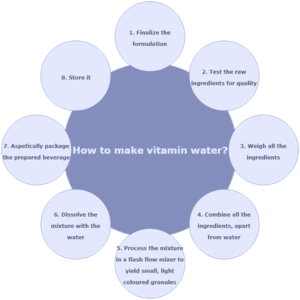 Vitamin Fortified mineral water is a shelf stable, ready to use, safe drinking water consumed directly, or in the preparation/reconstitution of foods/beverages. If the consumer is trying to cut back on sugar-sweetened sodas, then choosing enhanced water won’t hurt as long as it’s lower in sugar than the soda. Ready to drink malted beverages, fortified with vitamins and minerals, are available in the market. Usually, children are the target audience for the manufacturers of these malted beverages. However, in the recent years, companies like GSK have shifted their focus from children to women.